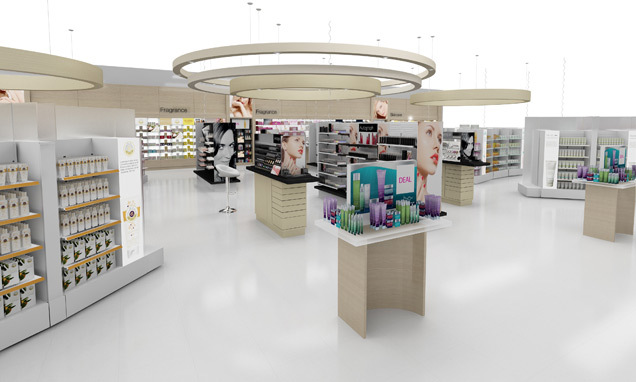 Following the rumours that have been circulating about Marks and Spencer’s new beauty offering, the store has finally revealed its new beauty retail concept - M&S Your Beauty: The Best of Nature and Science. And it’s exciting! Launched yesterday in its High Street Kensington store, M&S Your Beauty is distinctly premium and high tech and looks set to rival the best of the department stores. Back in 2009 M&S decided to abandon its premise of only stocking own-branded items in its food halls, and this ethos has been extended to its new beauty offering. So alongside 14 of M&S’s own brand beauty lines, consumers can also find a large range of premium and niche brands such as Nuxe, Apvita and Philip Kingsley. Keen to be a step ahead of the crowd, M&S has also bagged a handful of UK exclusives including Dr Murad (US), Roger & Gallet (France) and Skyn Iceland (Iceland… obviously). One thing I really like about M&S’s Your Beauty concept is that its beauty advisors aren't working on a commission basis, thereby eliminating any potential pushy sales techniques, or recommending products that aren't necessarily right for the consumer. Also in the offering is a Virtual Makeover Counter which lets consumers digitally select different shades of cosmetics across foundation, blusher, lipstick, etc. to find the most suitable colours for their skin tone. There is also an online version of the M&S Virtual Makeover Counter, from which you can upload an image of yourself to virtually try out different shades. M&S Your Beauty: The Best of Nature and Science has also launched on the M&S website and will soon be rolling out to other stores. Watch this space!